Senior Civil Engineer with 24 years of experience in design Construction and maintenance of Civil Engineering infrastructure covering Roads, Buildings, and Water Supply Engineering. I have managed many contracts to commissioning. 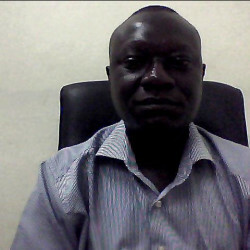 I am a trained FIDIC contracts management practioner. I have in the recent past completed a design/build project for industrial warehousing in Juba South Sudan for BS Group of Companies. I have held the positions of Project Manager, Senior Engineer, Project Engineer and Construction Supervisor at various levels and fields of civil engineering with focus on project management/oversight to client relations. I have experience working in USAID funded projects,World Bank Funded Projects,AfDB funded Projects,EU Funded Projects,JICA funded projects amoung others.I can manage Projects from inception to Commisioning.I have experience as an Infrastructure Assets Manager.